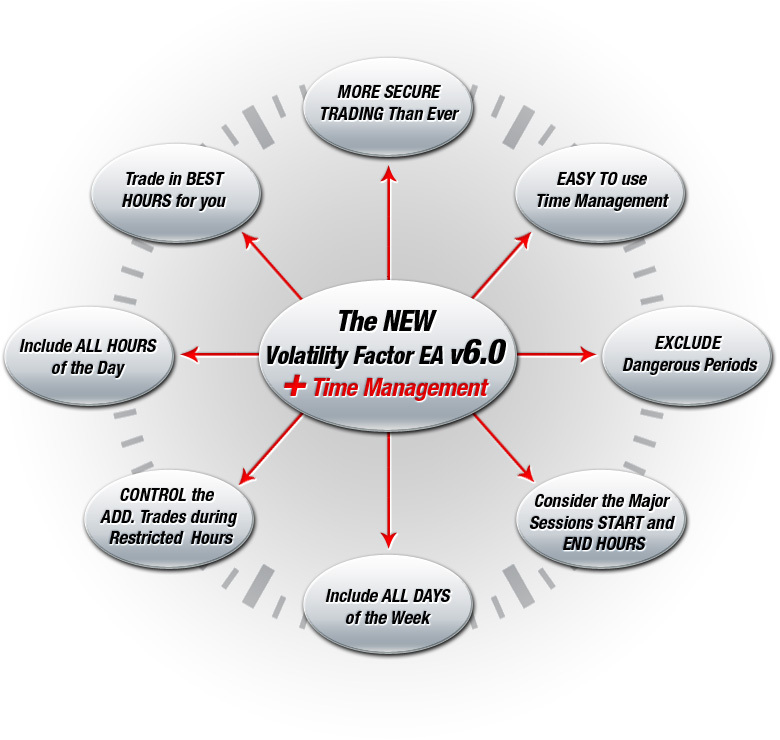 Volatility Factor EA 6.0 has been released! We are pleased to inform you that version 6.0 of Volatility Factor EA has been released! The main new feature in it is the new Time Management settings. Thanks to these new settings, you can configure exactly the periods during which you want the EA to trade. We all know that there are certain periods of time when the market behaves more unpredictable than usual - for that reason, you can set the EA to avoid trading during these periods. We are sure that this will be useful for many traders. All the new settings are explained in the newest version of our User Guide - you can download it from our member area. Another new feature is that individual comments have been added for each strategy as a suffix to the main comment. For example: VF-S1 and VF-S2.